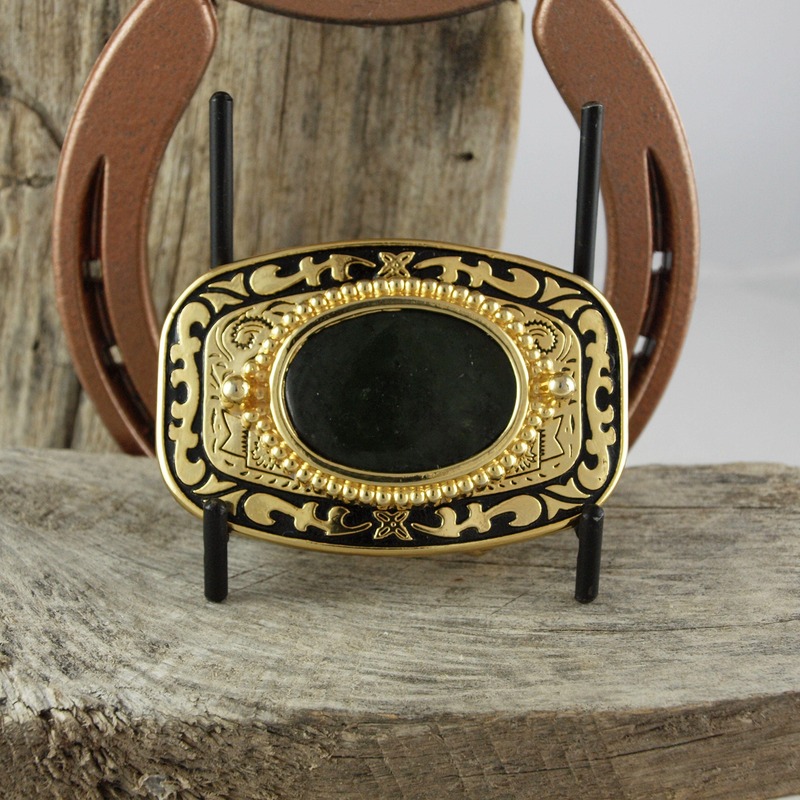 Western Belt Buckle - Natural Stone Belt Buckle -Cowboy Belt Buckle: This classy, gold tone and black, western belt buckle features a natural Wyoming Jade stone. The buckle is 2" x 3" and will work with belts that are up to 1 3/4" wide. The Wyoming Jade stone is 40mm x 40mm (1 1/4" x 1 1/2") and is mounted horizontally. 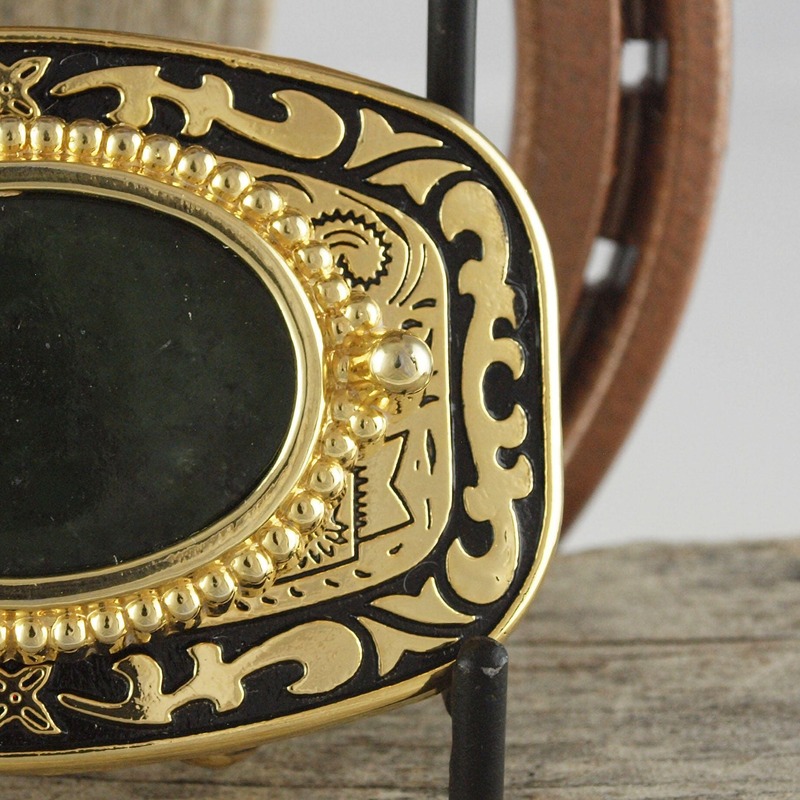 This cabochon was handcrafted in our workshop in Montana, and we love the results! 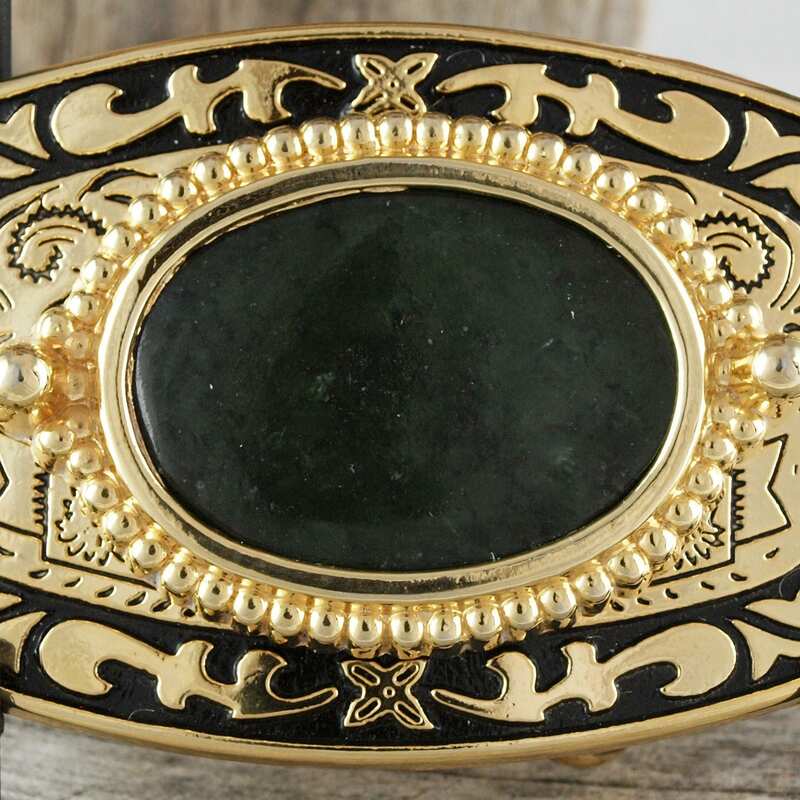 The Jade has a deep forest green color that really pops in this buckle! 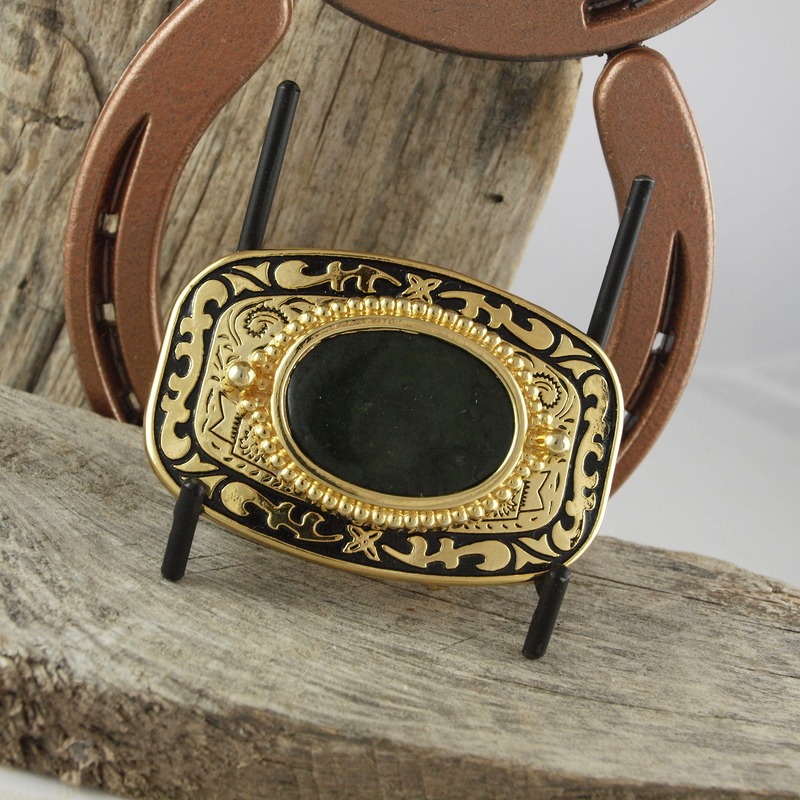 This is a very classy western buckle that will make a great gift idea. 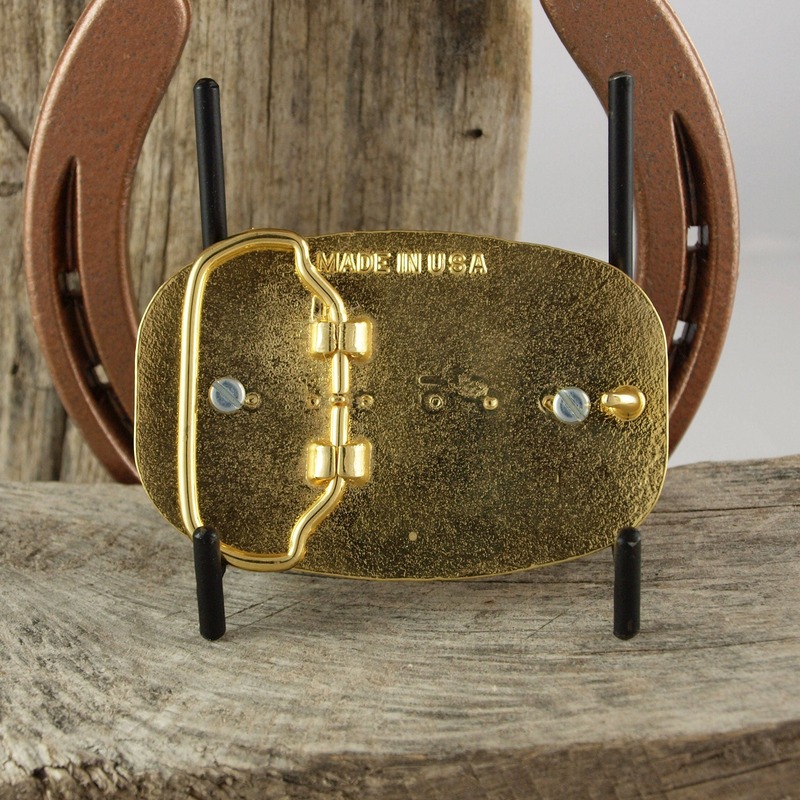 As with all our belt buckles, we will ship this belt buckle in an elegant gift box for no extra charge!